Dr. Suess Weekend will be held Friday and Saturday, July 20-21, at Sauder Village. Sauder Village in Archbold will host a new Dr. Seuss Weekend on Friday and Saturday, July 20-21. as part of the 2018 Author Days event. It will include a variety of hands-on activities, special demonstrations, and free admission for anyone dressed like a Dr. Seuss book character. Guests visiting for this special event will have an opportunity to decorate a flower pot to grow their own Grickle grass from the book “Mr. Lorax,” and become a Cat in the Hat by making thir own hat. Guests can make a mini broom, create a flower, decorate an egg and make duck feet from the book “I Wish That I Had Duck Feet!” There will be a fun fishing-themed activity and the opportunity to learn about eggs and places that animals dwell. 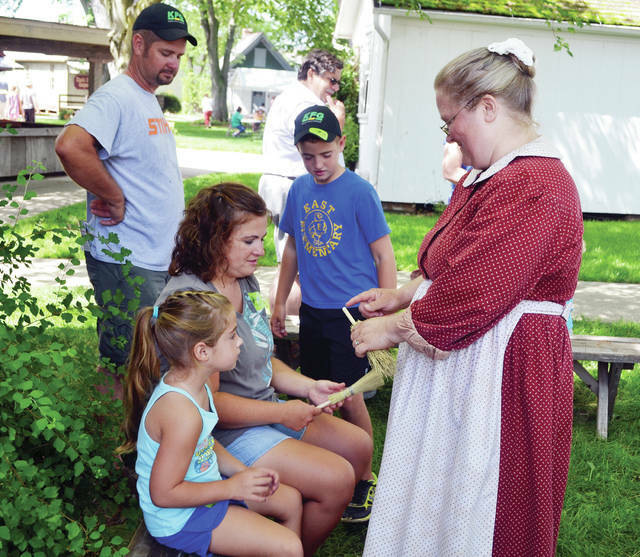 Guests will also enjoy visiting with the costumed guides and working craftsmen throughout the village to experience Ohio’s historic past from 1803 thru 1928. Known to the world as Dr. Seuss, Theodor Seuss Geisel was born on March 2, 1904. He is recognized around the world as a writer, poet, and cartoonist. He is the author of 46 books for children based on imaginary characters and rhymes. Many of his works have also been adopted into specials for television and feature films. In addition to the Author Days activities, there will also be special horse demonstrations on July 21. On Saturday only, equine engineer Keith West will demonstrate his horse training skills during the program “From the Horse’s Mouth: Communicating With Your Horse.” Sessions will begin at 10:15 a.m. and run through closing. West will be evaluating the horse’s needs and will share information about training and communicating with horses. He will work with horse owners but will be willing to answer questions and interact with Sauder Village guests to help them understand his proven techniques. This program was originally slated to be held in June but was rescheduled due to high temperatures. For more information, call 1-800-590-9755 or visit www.saudervillage.org. https://www.swantonenterprise.com/wp-content/uploads/sites/23/2018/07/web1_dr-seuss-saudervillage.jpgDr. Suess Weekend will be held Friday and Saturday, July 20-21, at Sauder Village.